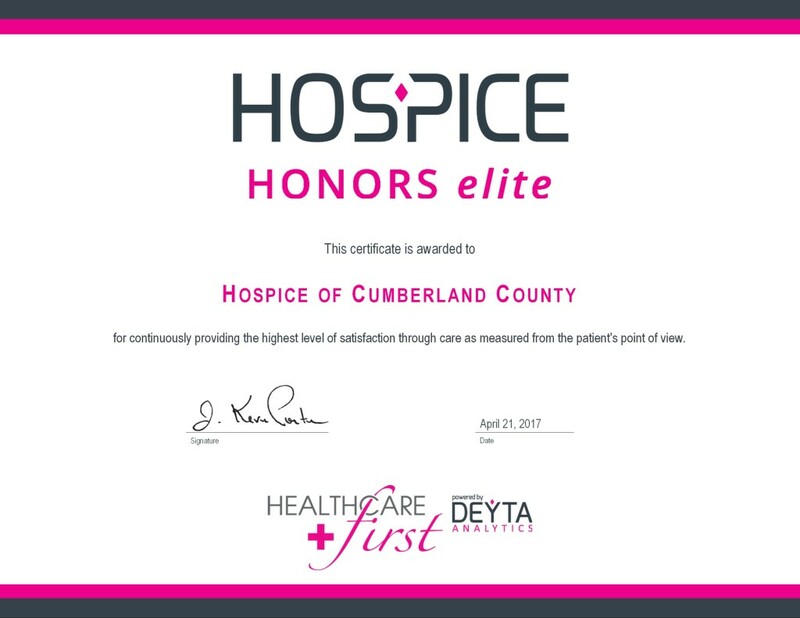 Your award winning, local, non-profit Hospice celebrating 30 years serving Cumberland County residents and families faced with end of life challenges. 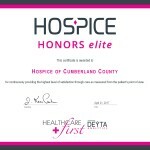 What makes Hospice of Cumberland County the best choice for you and your family? • As a non-profit, we can focus on the needs of the patient and the patient’s family first rather than the financial bottom line. • A local entity, we are not influenced by corporate polices established outside of our community. • Our team members live in our community and understand our particular needs and expectations. • We offer a full range of exceptional services and support carefully established and refined over our 30-year history. 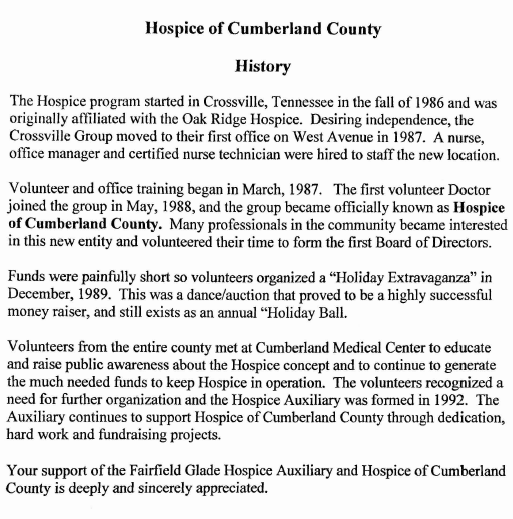 • Hospice of Cumberland County serves the Upper Cumberland Area by operating a 24-hour inpatient and respite facility.